Air Conditioning Vancouver WA | AC Repair and Installation at Area Heating & Cooling, Inc. Locally owned and operated for over four decades, Area Heating & Cooling, Inc. in Vancouver is the company to call when you are ready to make the comfort call. Why Choose Our Air Conditioning Services? Central air conditioners – Cool your entire home more efficiently, effectively, and conveniently than you’d be able to if using window AC units. Ductless systems – With a ductless mini split, you can use heat pump technology in order to heat and cool your home without the need for installing ductwork. Duct testing and sealing – If you use ductwork with a heat pump or central AC system, you need to know that those air ducts are in fine condition and that they are effectively sealed. Heat pumps – The heat pump allows you to cool your home all summer long before reversing the system’s operation in order to efficiently heat your home. Thermostats – Tour thermostat is your means of communication with your HVAC system, and you need to have the right one professionally installed in your home. There are a lot of great air conditioning systems on the market. 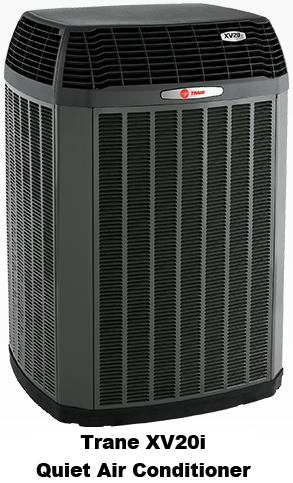 We supply Trane® equipment and other reputable brands, but you have to remember that outstanding equipment will only take you so far. We want to help your air conditioner to really go the distance. That is why our goal is to surpass the performance and customer service quality offered by competing local AC contractors. Expertise and effective problem–solving is the core and focus of every team member at Area Heating & Cooling, Inc..
That means that your new cooling system will be of the right size for your home. It means that your air conditioning installation in Vancouver, WA will be completed properly every step of the way, from your new ductwork purchased with your new AC to the thermostat and the air conditioning units themselves. Our preventative maintenance and AC tune up plan offers you the peace of mind that you deserve, and our air conditioning repair technicians are here for you whenever something may go wrong with your system.